Rain and a sudden drop in temperature came with thunderstorms that moved across North Texas overnight Tuesday into Wednesday morning. The thunderstorms rolled into Tarrant County before 9 p.m., and were tremendously active overnight, bringing intense lightning, heavy winds and short but very heavy downpours with some isolated flooding. "Multiple clusters of heavy rain and strong storms slowly pushed east/southeast over Denton, Collin, Tarrant and Dallas counties.," said NBC 5 meteorologist Remeisha Shade. "The storms continued to dump very heavy rain over some of the same areas and this eventually led to flood advisories and flood warnings being issued for parts of the Metroplex. The heaviest rain ended shortly after 7 a.m."
The storms cut power to more than 30,000 customers overnight, Oncor said. 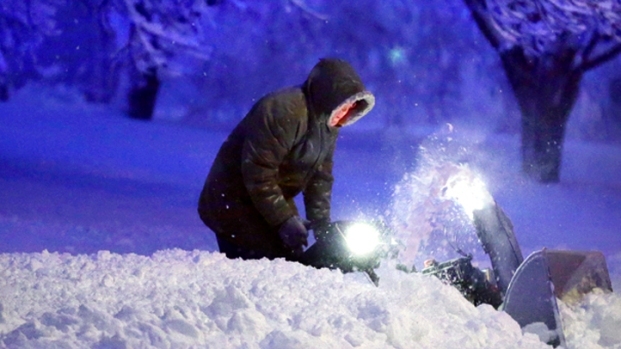 By 9:30 a.m., more than 20,000 remained without service in Dallas, Tarrant, Collin and Denton counties. 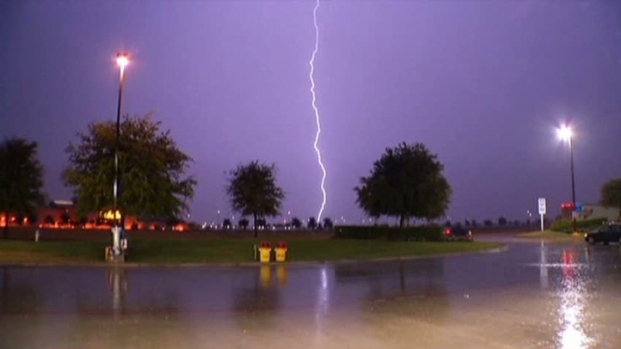 Thunderstorms brought rain, wind and lightning to North Texas on Tuesday night. 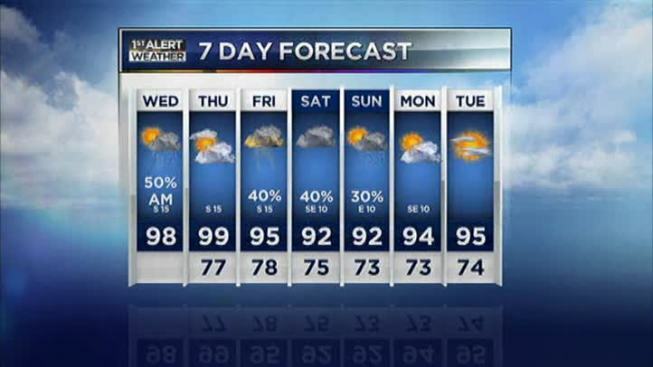 Most of the rain is expected to taper off by mid-morning, though Shade said there is a 10 percent chance for some isolated storms in the afternoon. The overnight rain also brought a welcome break in temperature. The high Tuesday was 106 degrees, but temperatures dropped to the 70s by 10 p.m. across much of North Texas. On Wednesday, a high of 98 degrees is expected, Shade said. Thursday, temperatures could climb close to triple digits at 99 degrees, but that won't last for too long. A strong cold front is expected to arrive Friday, bringing another cool down and the possibility of more storms that could linger through the weekend. NBC 5's Frank Heinz, Christina Miralla, Lita Beck, Scott Gordon, Remeisha Shade and Kevin Cokely contributed to this report.